Mr. Guido and Mrs. Elizabeth Binda established a private foundation with a primary focus on education, reflecting their careers and their interests. Elizabeth personally engaged in the work of strengthening and building the broader field of philanthropy in Michigan, serving on boards, working on committees, and working as a valued counselor. She provided a private foundation point of view to discussions on public policy, program development, and lessons learned. While Mr. and Mrs. Binda have passed, the influence of their characters and the results of their efforts continue. Mr. John Hosking talks about Elizabeth and Guido Binda's philanthropic history and leadership. Mr. Guido Binda attended the University of Michigan earning a bachelor’s degree in architecture in 1931. Mrs. Elizabeth Binda went to Northern Michigan University from 1933 to 1937, and received a bachelor’s degree in education. She then won a scholarship that allowed her to earn a master’s degree in education from the University of Michigan in 1938. Mr. and Mrs. Binda each grew up in large, close-knit families in the Upper Peninsula of Michigan, though Mrs. Binda spent a short time living in California before her father passed away when she was 7 years old, and her family returned to Calumet. Both families were strongly focused on education, instilling its importance in their children at a young age. Guido and Elizabeth were both first in their families to attend college. Following her graduation from University of Michigan, Mrs. Binda taught in a variety of schools in places ranging from East Lansing to Central Washington College from 1938 to 1946. Thereafter, she worked as a consultant for Battle Creek Public Schools in elementary education. After his graduation in 1931, Mr. Binda found a job at an architecture firm in Battle Creek, Michigan helping to design schools and hospitals. He continued working in the area until 1941, when he left to serve in Burma during World War II in the Army Corps of Engineers. Upon his return to Battle Creek in 1947, he started his own architecture firm. At each school that Mr. Binda designed, he designated a scholarship to help one student attend university every year. This generosity, reaching over 20 high schools, stemmed from Mr. Binda’s personal assets, and doubled to $1,000 after his death. The Binda Foundation continued to provide these scholarships until the last school that Mr. Binda designed was no longer used by its district as a high school. Mr. Binda’s firm took a job designing a school for Battle Creek Public Schools where he met Mrs. Binda. The two were later married in 1949, and Mrs. Binda retired from her consultation position in 1950. The Bindas were lovers of the arts, and the couple traveled the world together. Mr. Binda passed away in 1998 at the age of 90, with Mrs. Binda following in 2009 at the age of 93. Together in the mid-1970s, Mr. and Mrs. Binda began looking into how best to use their fortune to better their community, and began exploring the nonprofit sector. In 1974, they became involved in the Battle Creek Community Foundation (Mrs. Binda in particular). Then, in 1975, they started a charitable remainder trust. It was in 1977 that the Guido A. & Elizabeth H. Binda Foundation was officially formed. The Binda Foundation has focused grantmaking on the areas of education, arts and culture programs, and environmental education from its inception. 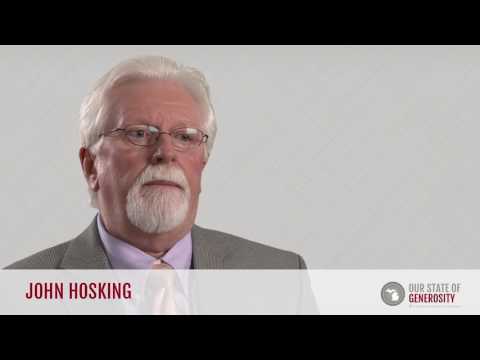 John Hosking, the nephew of Mr. and Mrs. Binda, is the current president of the Binda Foundation. Mr. Hosking is proud of how well the foundation has continued to follow and support his aunt and uncle’s shared vision, and has worked to reaffirm its focus on education. During the 2013 fiscal year, the Binda Foundation awarded $948,506.93 in grants, 76.9% of which targeted education (1). Mr. and Mrs. Binda also were early supporters of the Medallion Scholarship at Western Michigan University. Separate from the foundation, Mrs. Binda was tremendously active in the Battle Creek community for many decades. She was a charter board member of the Battle Creek Community Foundation which was founded in 1974, and she served on its board for over 25 years. Her dedication to her community has not gone unrecognized. Mrs. Binda was chosen as Scene Magazine’s Woman of the Year in 2001, the Battle Creek Enquirer selected her as the recipient of the George Award in 2002, and Miller College presented her with an honorary doctorate in education and named its school of education in her honor (2). Outside of Battle Creek, Mrs. Binda was very involved with the Council of Michigan Foundations (CMF). The Binda Foundation joined the council shortly after its formation in 1977, and took an active role among the council’s private foundation membership. Mrs. Binda held a position on CMF’s board of trustees and served on the Michigan Community Foundations’ Youth Project advisory board, the annual conference committee, and as a member of CMF’s advisory cabinet for many years.